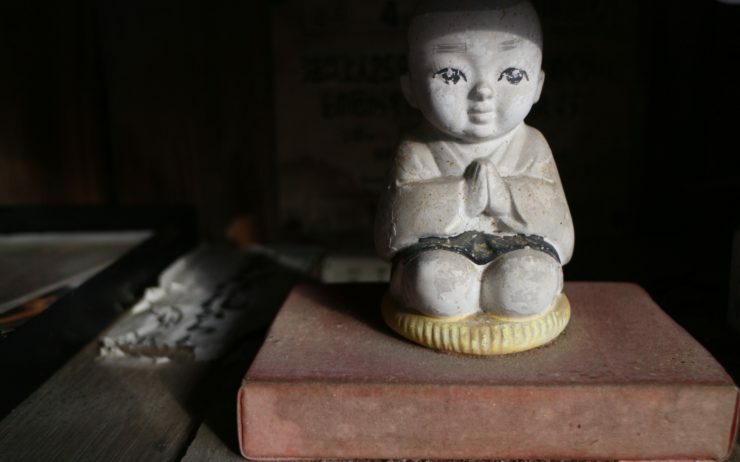 How does this tiny prefecture with a population of less than 600,000 make you feel so connected to a culture that isn’t your own? Hope you’re up for the answer and 36 hours of discovery in Tottori. Unlike its more famous attributes — the rippling sand dunes, awe-inspiring Mt. Daisen, or endless supply of fresh snow crab — Tottori’s strong-willed spirit is little-known to the average traveler. Even within a breezy 36-hour trip from end to end of this often-overlooked prefecture in central Japan, Tottori leaves imprints of a culture unchanged by the mind-numbing conveniences of 21st-Century technology. 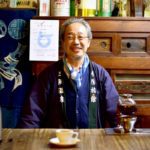 No matter how deep your love for smartphone apps, there’s a certain inseparable grace in the stubborn sake brewer who still dries heaps of rice by hand, and the women spending hours on handmade indigo kimonos — all with a smile. 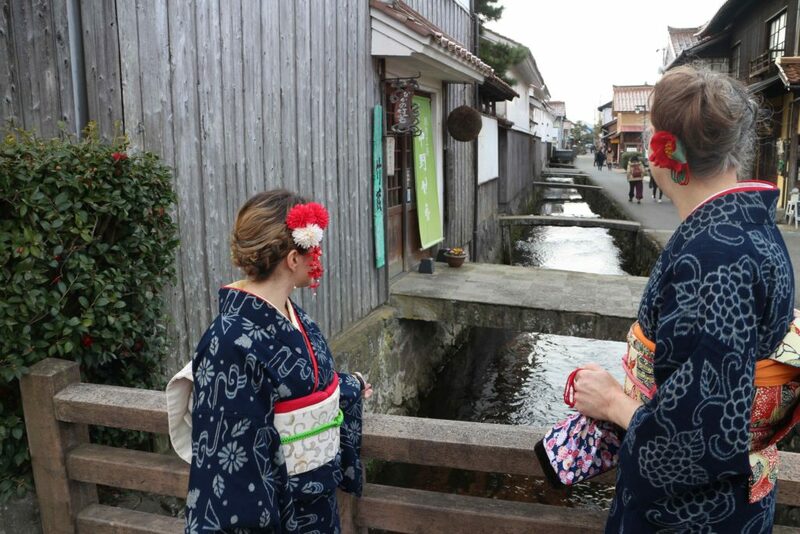 It makes you wonder how such a seemingly insignificant place with a population of less than 600,000 can make you feel so connected to a culture that isn’t your own — even if you don’t speak the language well or know how to walk and properly keep your kimono closed at the same time. The cities, towns and mountain villages of Tottori are a rustic hodgepodge of nature, craftsmanship and hefty portions of foods to keep warm and healthy. 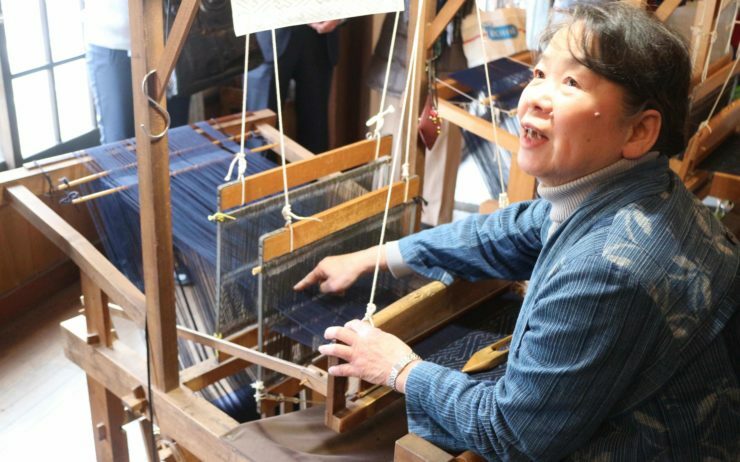 A mix of adventure and antique, Tottori’s endearing determination comes through in both its peoples’ dedication to craft and their community’s push to make it accessible to foreign tourists. You may stay more than 36 hours, but here’s a peek at what’s possible to do, see and eat in Tottori in just that short time. Yonago Kitaro Airport — one of two in Tottori — is by all accounts more kawaii than most. 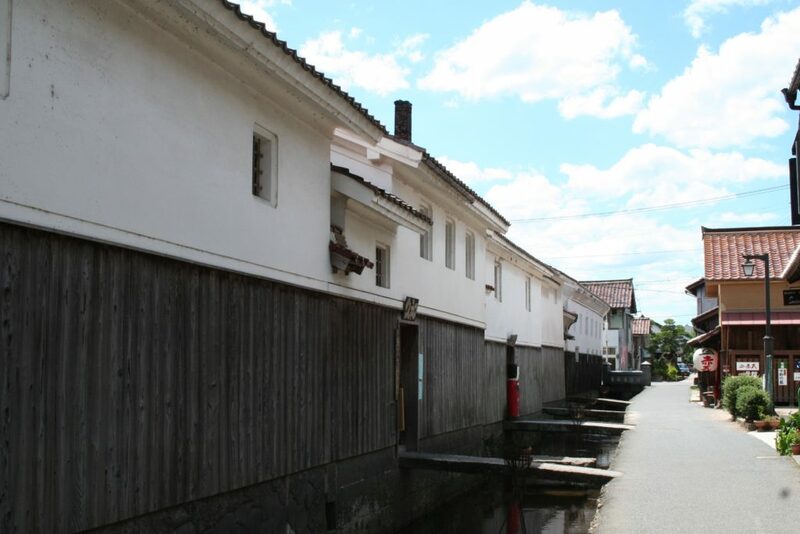 Anime set in Tottori like Detective Conan and GeGeGe no Kitaro have left a lasting legacy. 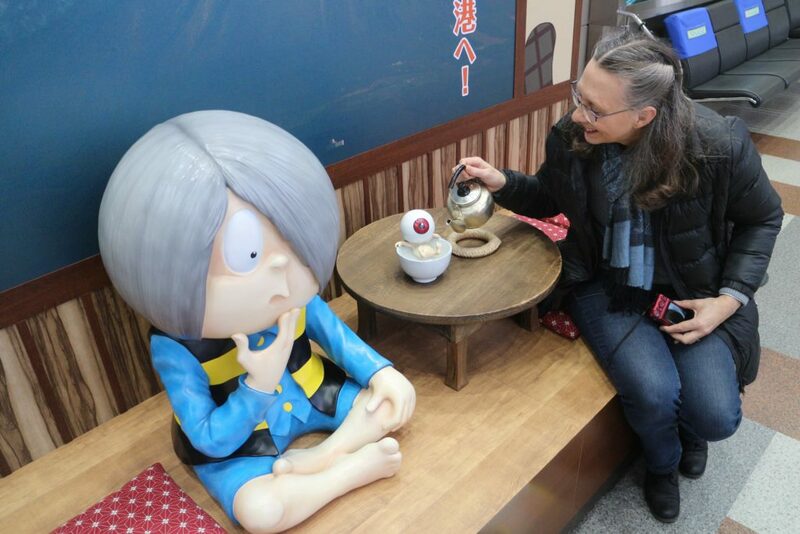 The airport’s walls and windows are covered in yokai (or spirits) and anime characters, so don’t forget to take your photo with a life-size Kitaro and his cuter-than-cute eyeball daddy, Medama-Oyaji, before you head out. Pottery at Hosshoji Kaikegama is as much a rewarding as it is a learning experience. 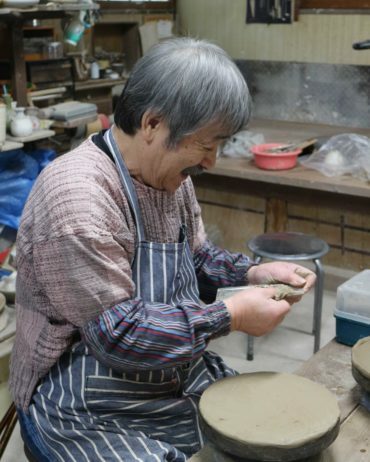 The mom-and-pop studio of handmade clay dishes has lasted more than 50 years. 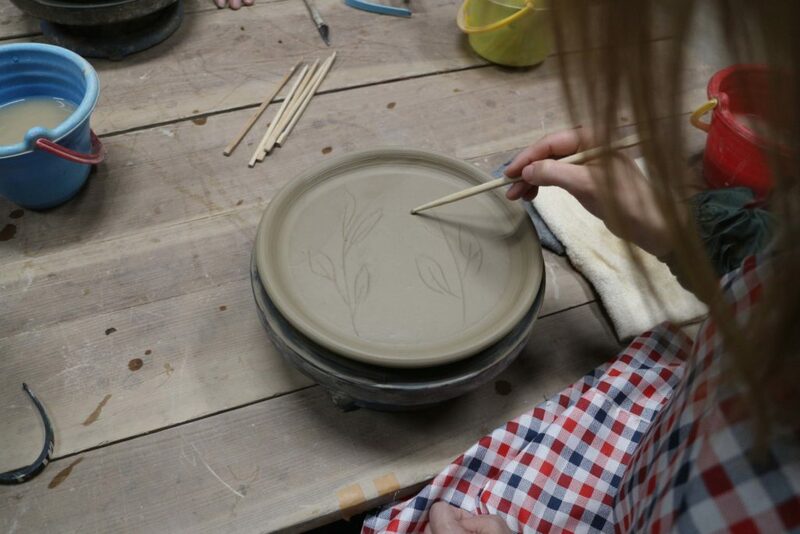 The old-fashioned pottery studio allows travelers a glimpse of the traditional technique and time that goes into each piece. 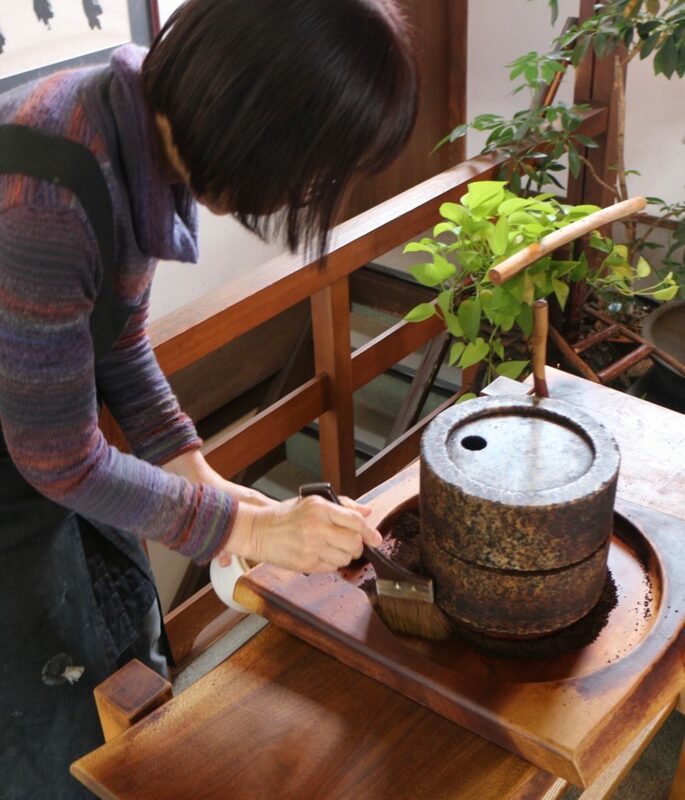 They’ll teach you how to make, for example, a plate by hand, and mail the finished piece to you for about ¥4,000. After driving past the majestic Daisen, it’s on to the town of Kurayoshi. 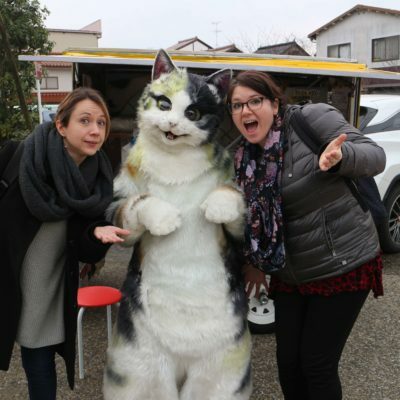 A historical setting with traditional white-walled buildings has magical cherry-blossom-flavored taiyaki, the street-side Tama River with koi fish maneuvering to and fro and a man (assumedly) in a mind-blowing catsuit who sells baked sweet potato from a food truck. As we sit down to our first proper meal in Tottori at Seisuian, the portions make a hefty bowl of ramen seem like child’s play. On the menu is mochi shabu shabu, with veggies, thin layers of colorful omochi and beef — all raw. 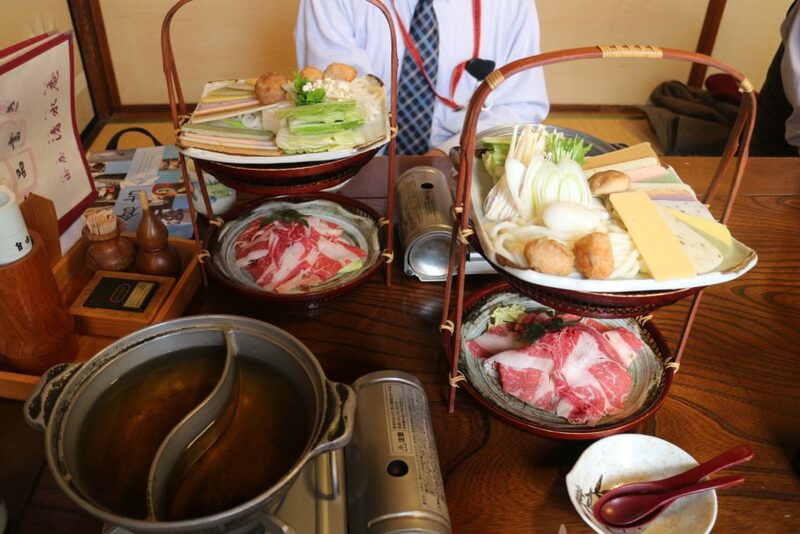 The dish is a hearty Tottori favorite that you cook at the table in the flavorful broth boiling in front of you. Fun fact: The dish’s 12 different flavors of mochi like blueberry, pumpkin and carrot, are meant to symbolize the 12 layers of kimono historically worn. Minutes away past sake shops and boutiques is Kura. On the second floor, record players and origami decorate the room. 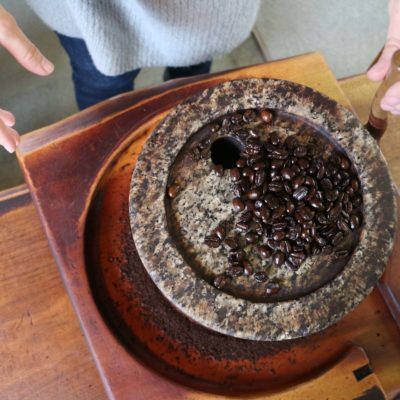 The centerpiece, though, is the stone-and-wood hand coffee grinder, which helps produce the shop’s dark aromatic brews. Patrons are welcome to get in on the grinding, which is no easy feat but terribly fun. 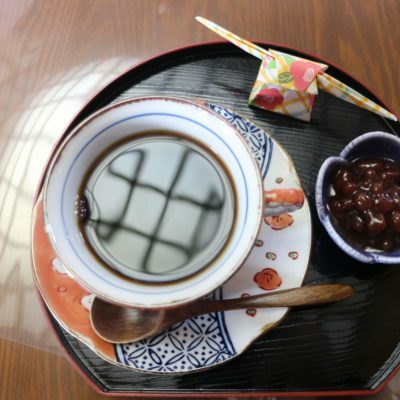 While at the cafe, don’t miss out on pouring sweet azuki beans into your Japanese-style coffee, meant to replace cream or sugar. One does not put a kimono on, the kimono is wrapped and strapped to you. About 30 minutes later at a nearby kimono shop, we were off and strolling past temples and lanterns from ancient Japan. Donning the traditional garb is — yes — a bit cliché, but it’s also fun, and shouldn’t that be reason enough to do it? (You can book an appointment here). Unwrapping the kimono gets things moving toward 2018 only to end up going back in time again at a local brewery. There is sake and then there is junmai-shu. Longtime sake brewer Umetsu-san makes the premium type, comprised of only rice, water and koji (used for fermentation) at Sake Kuramoto. His craft adheres undauntingly to a strict traditional method he says creates the most pure product. 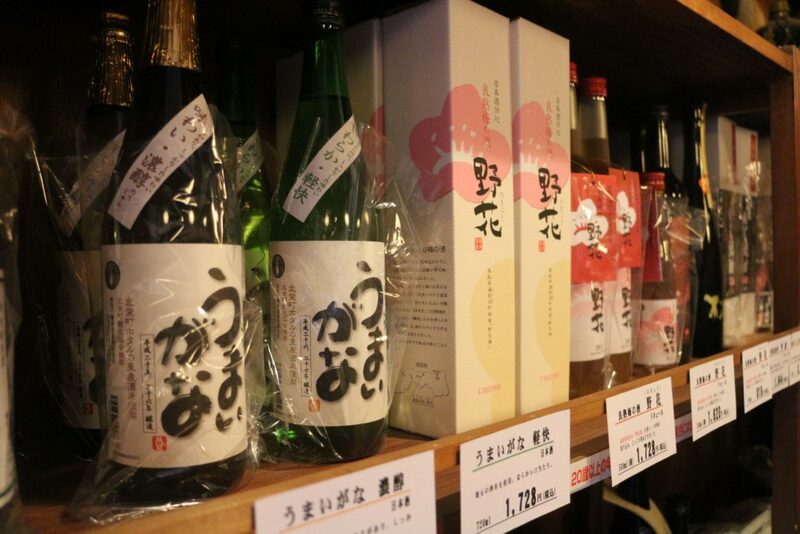 He claims his is of the 20 percent of sake brewed in Japan that contains no additives like sugar or added alcohol (aka what gives you a hangover the next day). 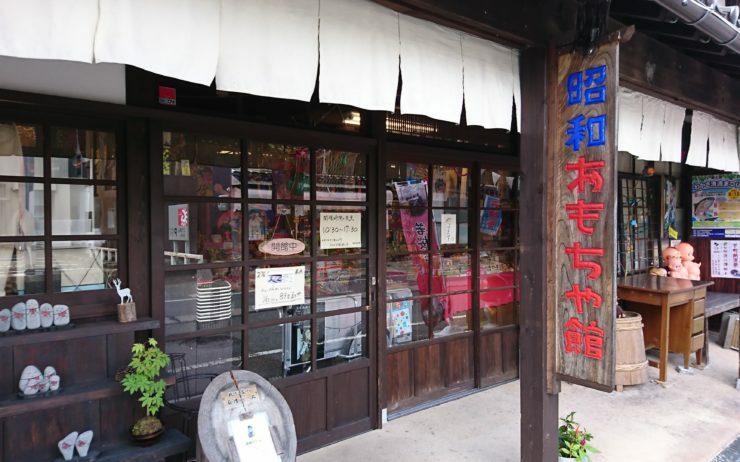 Luckily, finding it is much easier in the handmade haven of Tottori. The Wakabayashi Shoten restaurant greets you with plate fulls of ultra-tender Matsubagani snow crab — a famed Tottori winter delicacy — for its dinner set at around ¥8,000. 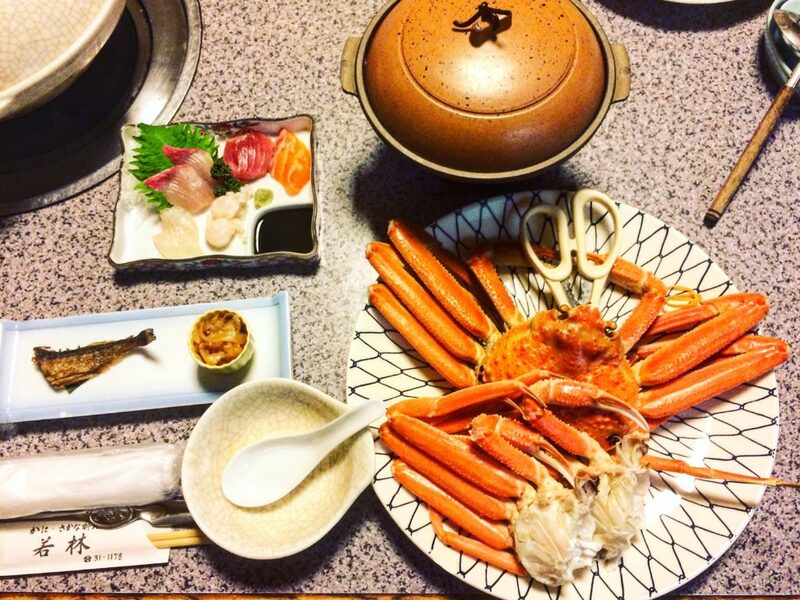 Or, go for the ¥12,000 deluxe crab dinner, including hard-to-find crab leg sashimi and tempura. After, dig into the hotpot for umami-packed crab nabe (hot pot). Moreover, do not forgo the greenish kanimiso, or crab innards — a rich and flavorful Tottori treat. 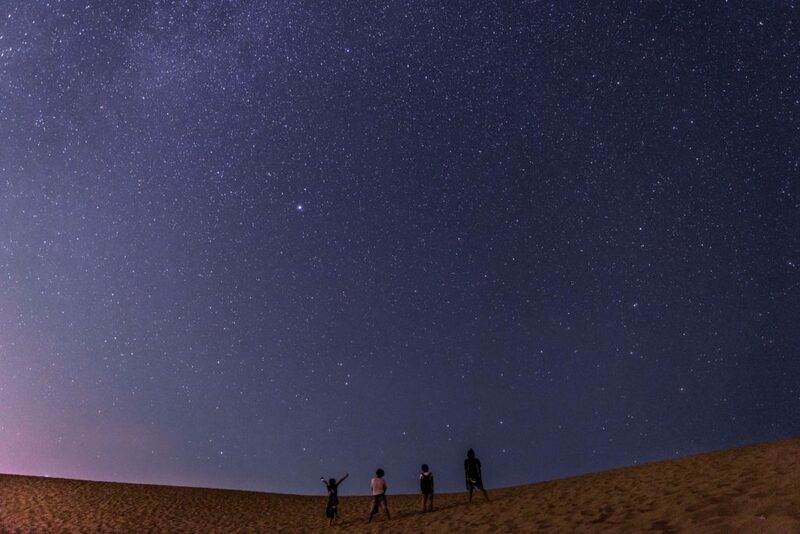 Stargazing on the Tottori Sand Dunes with a telescope is a well-earned perk of travels in Tottori. 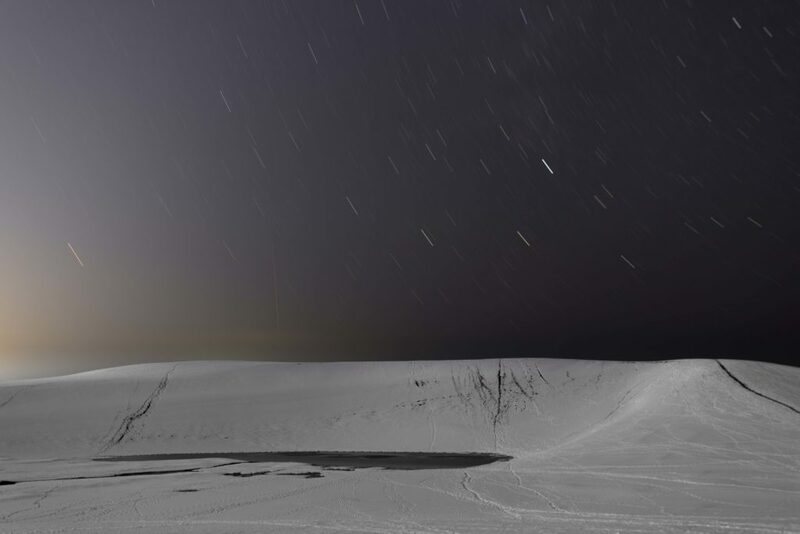 Gazing up at Orion and other constellations from the open dune terrain is not one of the usual tourist activities, then again, that makes it all the more special. 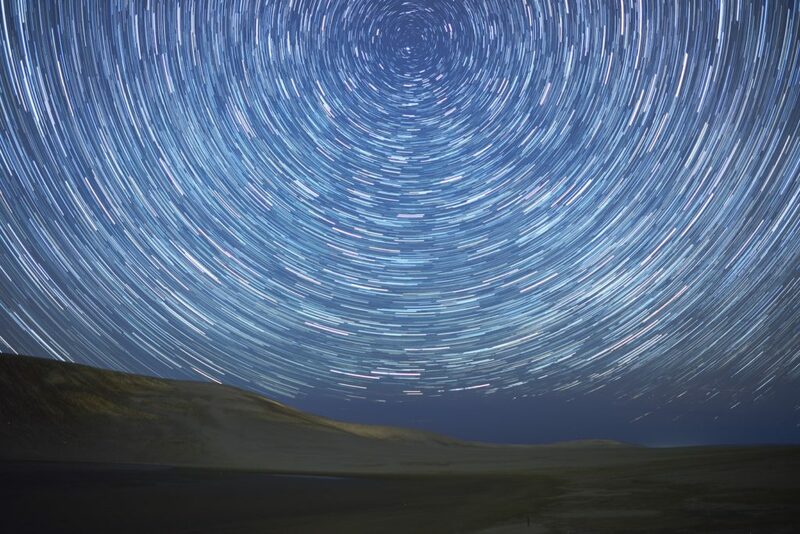 In an effort to make this activity more accessible, the prefecture offers a few types of stargazing tours. 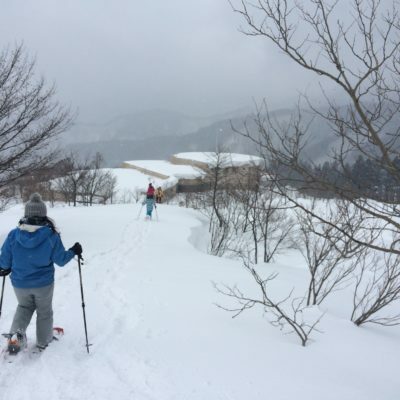 Morning snowshoeing at Mount Hyono on top of two meters of snow is a relaxing way to see the snowscape. 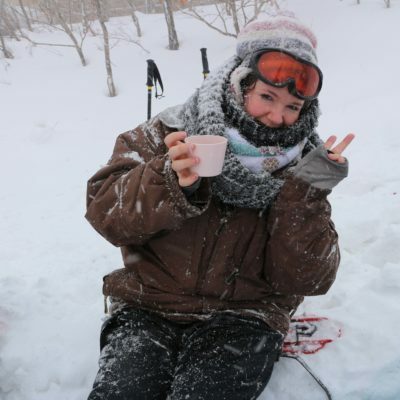 At local shops, like the one on the way to Hyono called Momochan, visitors can rent snow gear like gloves, coat, boots and snow pants — and go for it. Heading down the mountain by car, the next stop is the former castle town of Wakasa. With around 3,300 people, this former castle town envelops travelers with cedar-trees dotting the mountain tops painted in brushstrokes of frost. Wakasa locals celebrate the old-old-school way of life that’s influenced by surviving on what the mountains and river provide. That’s well illustrated within their regional cuisine. 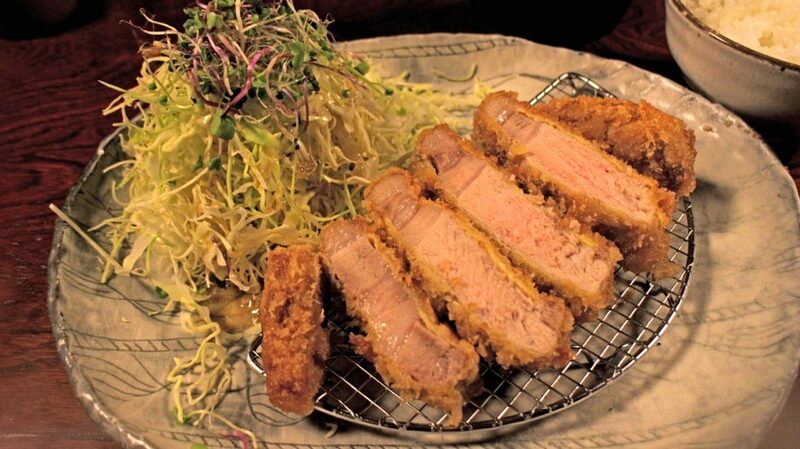 Lunch at Arata on Kariya Dori (street) offers a much-needed thick-and-juicy roast pork cutlet meal to enjoy while sitting on a traditional tatami mat floor. 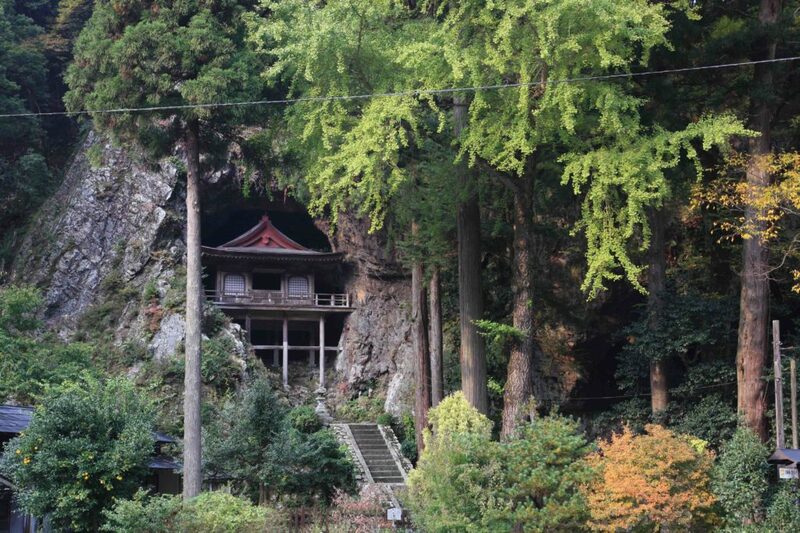 A 20-minute drive from the Wakasa train station is Fudoin Iwayado Temple. The temple, built in 806 AD, is embedded into a natural cave and climbing up to it requires a rope but takes just a few moments. 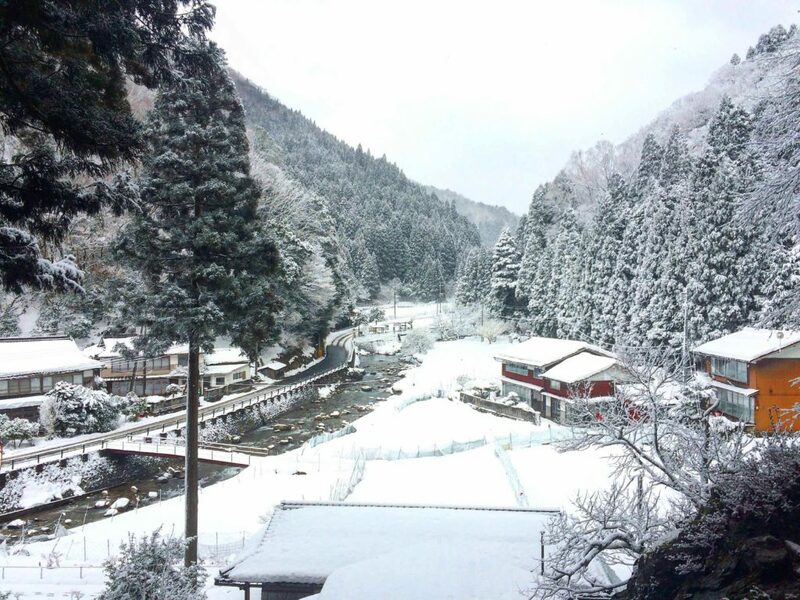 The view from the wooden structure on stilts — a snow-topped red bridge over the river, forest and local houses — is picture perfect. In any season, the spiritual spot, which is accessible by local bus, is a major draw of the town. 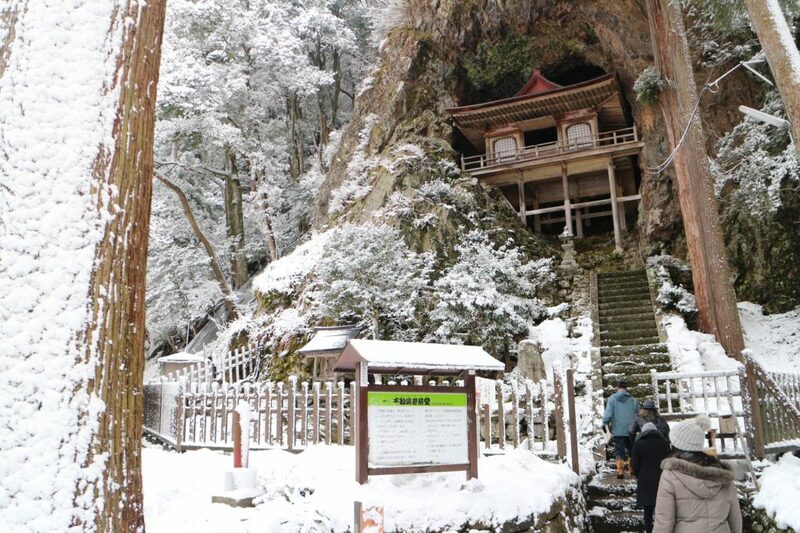 Fudoin Iwayado Temple is spectacular year round. Tottori Sand Dunes Conan Airport is the final stop. On the plane back to Tokyo, the trip comes back in waves. It seems Tottori — a 90-minute flight from Tokyo’s Haneda Airport — does not get the love it deserves from tourists. Yet, Tottori’s distinctive pace, traditions and people let travelers experience Japan’s cultural and historical artistry that is still very present today. 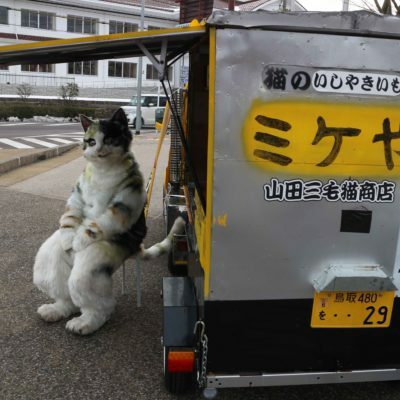 Because of that, you’ll leave feeling refreshed, grateful and just a little more Japanese. 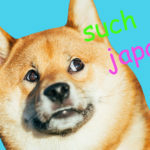 Tottori? That’s, like, somewhere south with the desert, right? The responses were hilarious, thoughtful, weird and a little angsty. Vote for your favorite! 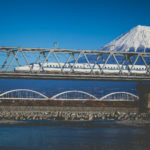 With a little planning, you can get around Japan in comfort by train without emptying your wallet. Here are five economical multi-day tickets.